Earlier this week, the third installment of the #TeachLivingPoets Twitter chat dropped. The August 28th chat was hosted by Susan Barber, who teaches in Atlanta public schools. Clint Smith’s poem “There Is a Lake Here,” which is the last poem in his collection Counting Descent (Write Bloody, 2016), was our focus as the common text for the chat. There were so many innovative ideas brought up by various educators all around the country who participated in the chat, and this post is going to sort them all out into an organized poetry unit you could teach in your classroom. I’ll start with some of the comments teachers made about things they noticed in the poem. Matt Brisbin notices the words “No” and “And no” are repeated, like the speaker is battling misconceptions people have about the topic, which is literally a lake but metaphorically his community. Matt also mentions the misconceptions and how Smith reframes each one with a joyful context. Dustin and Emily McConnell also pick up on the “No” repetition and how it affects the rhythm of the poem, putting emphasis on the things the lake is not. I also add that this challenges readers to see what the speaker sees, not what readers expect to see, therefore forcing us to question our assumptions and why we have them to begin with. Adrian Nester loves the choice of “ricochet” used in a joyous way, which highlights the juxtaposition and picks up on themes from other poems in the collection. I notice the repetition of the words “arms” and “droplet,” and how Smith’s diction associates the physical human body with that of a body of water, the lake. Scott Bayer connects back to a poem earlier in the collection, which also includes a broken window, “What the Window Said to the Black Boy,” serving as an example of one of the threads throughout the book. Another thread Scott points out is the motif of water, and how it culminates in hope in this last poem. Joel Garza discusses how the structure of the poem goes from topographical/ political to the personal/political, resolving with a single boy, the boy of so many poems within the collection. In this poem, the boy is not vulnerable or suspicious to others, but playful, laughing, and awesome. Several teachers appreciated the powerful sensory imagery throughout the poem, quoting various examples. I don’t want to leave anyone out, but there’s just too much to include here in this post! Thank you and a shout out to Sarah Soper, Valerie, Jennifer Stuckey, Carrie Honaker, Kristin Runyon, Melissa Tucker, Grace Hilsmier, Roy Smith, Carrie Mattern for your insights! I am a believer in the necessity of reading a poem out loud. I would ask for a student volunteer to read it slowly, while students follow along. Then I would ask for a second volunteer to read it again, and have students underline words or phrases that stand out to them for whatever reason as it’s read a second time. Students could think-pair-share about what they notice in the poem. For younger students, a simple fill-in-the-blank model might help them to organize their thoughts: The word(s) _____ stood out to me because _____, and it makes me think/notice/feel _____. With a poem that uses such strong imagery, students could also make drawings around their poem of images that stand out to them. Hurricane Katrina hit New Orleans in 2005, when most of our students were too young to remember the devastation it caused. Teacher may want to give students some contextual information about Katrina in order to help students understand why Smith includes some of the misconceptions he does in the poem. If your school encourages reading non-fiction, this would be a perfect opportunity to tie in an article on Katrina or on New Orleans. Right underneath the title of “There Is a Lake Here,” Smith includes “after Jamaal May.” Knowing why this is included gives important insight into Smith’s poem. After you read May’s poem “There Are Birds Here” you should be able to see the connections and understand the inclusion of “after Jamaal May.” Students could read May’s poem and identify the ways Smith uses May’s poem as inspiration and a model for his poem. Chicago-based poet H. Melt also has a poem in their chapbook On My Way to Liberation after May’s poem. Melt’s poem is titled “There are Trans People Here.” You can order their chapbook here. Tricia brings in the skill of using poetry as argument, and would use Smith’s poem as a mentor text and its use of “no” repetition to have students define something by saying what it is not. Susan, who hosted the chat, ended with a bonus challenge to write our own poems. Her prompt is: Write your own “There is a _____ Here” poem and share over the next couple weeks with #TeachLivingPoets. Jennifer’s idea is to have students think of a negative event, image, or even a person, and imitate the structure of the poem by emphasizing beauty, positive, and hope by shredding misconceptions. Matt contributes the idea of having students think about misconceptions others have of them, then spend time redefining those misconceptions through an extended metaphor. 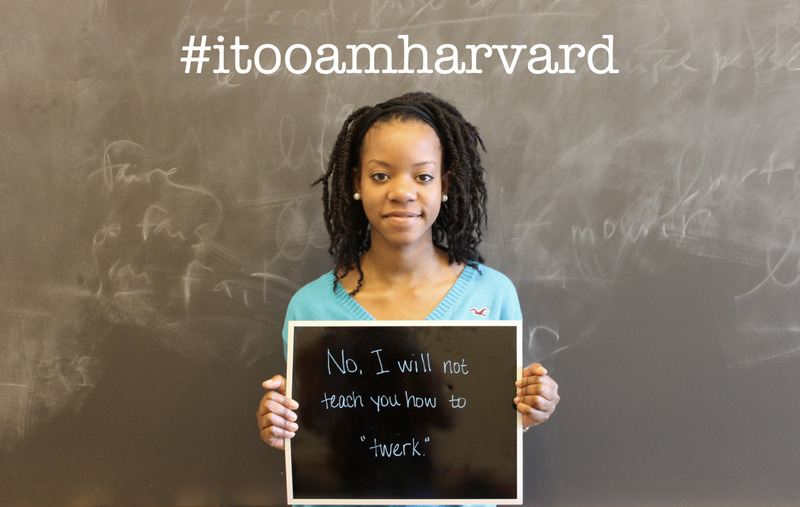 With that idea, Valerie added that teachers could also tie in the #itooamharvard project, which also deals with challenging misconceptions. Scott Bayer and Joel Garza, co-hosts of #THEBOOKCHAT, made an interactive Counting Descent hyperdoc for teachers that includes videos of Smith reading, interviews, and ways to follow Smith on social media. I’ve used this hyperdoc for the past two years in class and it’s turbo awesome. Scott and Joel will be making another hyperdoc for an upcoming combo-chat (#TeachLivingPoets and #THEBOOKCHAT unite!) on Nov. 4 at 8:00pm EST co-hosted by myself and Adrian Nester. We will be discussing José Olivarez’s new book Citizen Illegal (Haymarket Books, 2018). Please join us for our tag-team chat and you’ll get access to the hyperdoc for Olivarez’s book. Oh, and pre-order the book now if you haven’t done so already! If you are thinking about teaching more poems by Clint Smith, you should DEFINITELY check out this post on aplithelp.com. Teachers who teach the collection share their ideas, best practices, and resources for teaching poems from Counting Descent. Joel suggests Danez Smith’s “Dinosaurs in the Hood” because the speakers in both poems address a readership that might stereotype a setting, a city, a people. Check out Danez Smith reading the poem here. Melissa Tucker suggests E.B. White’s “Once More to the Lake” and Hanif Abdurraqib’s essay “A Night in Bruce Springsteen’s America” in They Can’t Kill Us Until They Kill Us (Two Dollar Radio, 2017) . 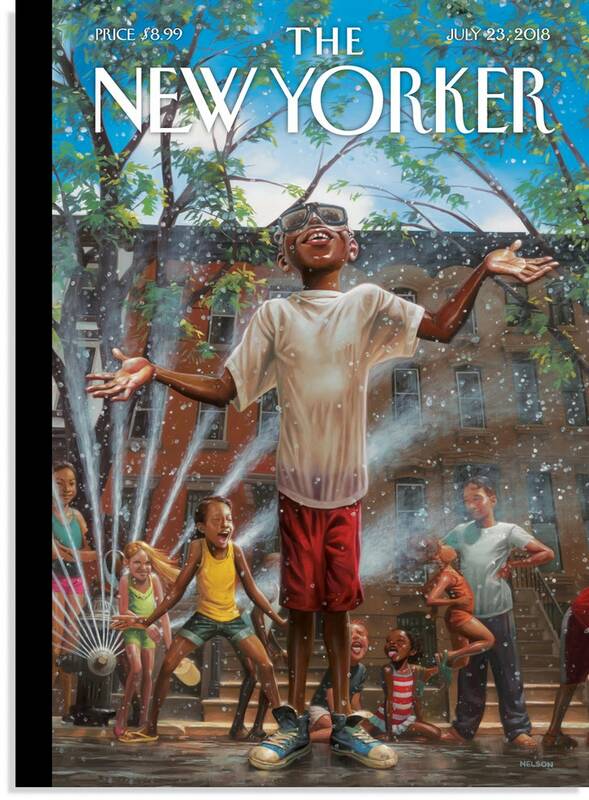 Tricia suggests pairing with artwork from The New Yorker cover, Kadir Nelson’s “Summertime City” (The New Yorker, cover, July 16, 2018). Adrian would pair Smith’s poem with Nikky Finney’s “Left” which is also about Hurricane Katrina, and a video of Finney reading it. There’s also Patricia Smith’s “Siblings” and a video of Smith reading it. “Siblings” includes the line that inspires the title of the book it is in, Blood Dazzler. Tricia also adds using the photo essay “The Remains of Detroit” in TIME. I was born and raised in Detroit so this one hits home for me personally. Being a Detroit native gives me a sense of pride and joy for a place that so many people consider in a much different way… just like Smith’s poem! And in May’s poem! Doesn’t it make you want to join us for the next chat? Teacher extraordinaire Adrian Nester will host our next chat on Tuesday, Sept 25 at 8:30pm EST. We’ll be discussing a poem from José Olivarez’s new book Citizen Illegal. Please join us and participate! More info to come via Twitter as to which poem we will be looking at specifically. Thank you for reading and I hope you picked up a couple useful ideas for your classroom!